Don't let your lips tell your true age. Benefit from the beauty evolving from the power of grapes combined with nanotechnology and other fine ingredients in this cream. 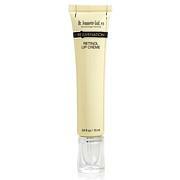 With continued use, the moisturizing beauty treatment helps reduce the appearance of lip lines. Looking good has never been so easy! Ingredients: Aqua (Water), Butyrospermum Parkii (Shea) Butter, Glyceryl Stearate SE, Theobroma Cacao (Cocoa) Seed Butter, Hydrogenated Coco-Glycerides, Palmitic Acid, Stearic Acid, Vitis Vinifera (Grape) Seed Extract, Vitis Vinifera (Grape) Seed Oil, Vitis Vinifera Fruit Meristem Cell Culture, Sodium Hyaluronate, Tocopherol, Palmitoyl Tripeptide-1, Isoniacinamide, Resveratrol, Tocopheryl Acetate, Ascorbyl Tetraisopalmitate, Diisopropyl Adipate, Ubiquinone, Tribehenin, Ethylhexyl Palmitate, Glycerin, Lecithin, Glyceryl Glucoside, Lactic Acid, Parum (Fragrance), Xanthan Gum, Alcohol, Ethylhexylglycerin, Sorbitan Isostearate, Behentrimonium Chloride, Potassium Phosphate, Isopropyl Alcohol, Citric Acid, Caprylic/Capric Triglyceride, Sodium Benzoate, Potassium Sorbate, Dimethicone, Phenoxyethanol. Love this product because it actually does what it is supposed to do for my skin. I am still waiting for my package to arrive. Please advise me of when I can expect delivery. At that time I will be more than happy to review it. This morning I noticed a definite softening of the deep lines on my upper lip. I have been using this product for a little over a week. I am 61. This lip lines cream does a great job. I have been using it for several years now and don't want to be without it. I am getting on in years, so I have lines above the lips, a couple of them are pretty deep and very visible. 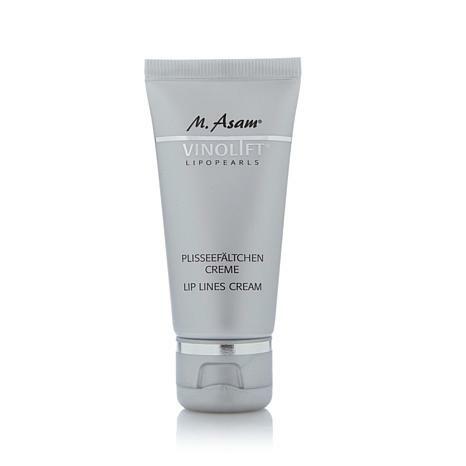 After applying several coats of this cream (it penetrates the skin quickly) a tiny bit of concealer and then M Asam Perfect Teint mousse make up, my mouth looks great and a lot more youthful than my age. 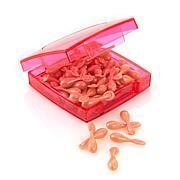 I love M Asam products and hope that HSN continues to sell them . While I put it on for moisture often throughout the day, I don't see any improvement.